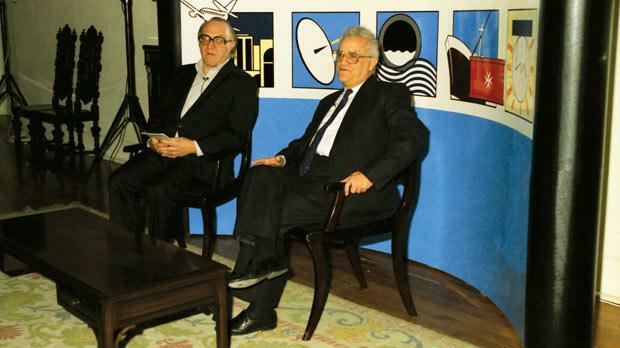 Fr Peter (left) and President Emeritus Eddie Fenech Adami in a political dialogue at Castille in November 1991. 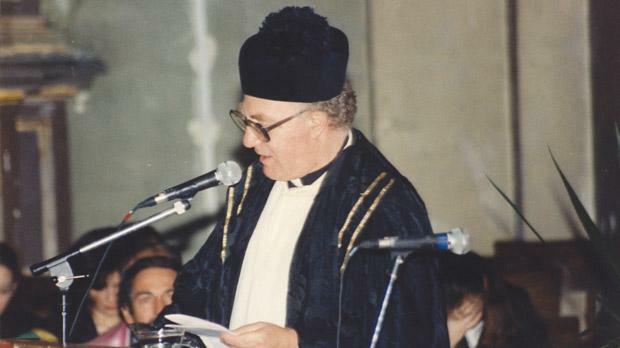 Fr Peter Serracino Inglott addressing a conference in November 1994. Fr Peter Serracino Inglott presides over a University graduation ceremony. Leading Maltese thinker Fr Peter Serracino Inglott, known for his passion for knowledge, his humility and “impish humour”, died yesterday afternoon aged 75. His funeral will take place on Friday. The funeral cortege will leave Mater Dei Hospital at 9.30 a.m. for the University campus where the academic world and students will bid farewell. It will then proceed to the Jesuits church in Valletta where he will lie in state until 2 p.m. The cortege will then leave for St Paul’s parish church, also in Valletta, where Mass praesente cadavere will be said at 2.15 p.m.
“He was the most brilliant brain I have ever come across and his heart was blessed with a kindness I don’t think I’ve ever seen in anybody else,” said his childhood friend, Richard England. Prof. England, a renowned architect, visited Fr Peter at Mater Dei Hospital just before he died yesterday at 1.45 p.m.
Fr Peter – a priest, philosopher and former University rector – had been in hospital since January after he was diagnosed with CJD (Creutzfeldt-Jakob Disease), a rare degenerative brain ailment. “It’s painful to see a brain of that calibre deteriorating... His death is a great loss for Malta because we’ve lost the best brain we’ve ever had and I personally have lost a dear friend... When a friend dies, it’s a chapter torn out of one’s book of life. As though part of you has been torn away,” Prof. England said. Unkempt and forgetful, yet a visionary with a huge intellect, Fr Peter took on great responsibilities from a young age when his father passed away. He supported his mother raise a family of eightchildren. “He helped our mother take on the role of mother and father,” said his brother, Anthony. Fr Peter, the second born, encouraged his siblings to study, made sure they enjoyed themselves and looked after them. He nursed his sister Josephine and brother Franco, both deceased, when they had cancer and when his mother got sick he left Milan and dedicated himself to nursing her. His other brother, Carmel, recalled: “When my father died he took over despite all his studies and work to ensure we were properly educated... Although known as absent-minded, he never forgot us... I am proud that he was my elder brother,” he said. Fr Peter passed on his passion for knowledge to his nephews and nieces – the biggest inheritance he left, his brothers said. He is also known for makingthe University accessible to more students. “As pro-rector, I was witness to the way he set about changing the University when he took over as rector in 1991. Opening the doors of the institution wide, the University began to attract students to it in ever-increasing numbers,” said his successor, former rector Roger Ellul-Micallef. 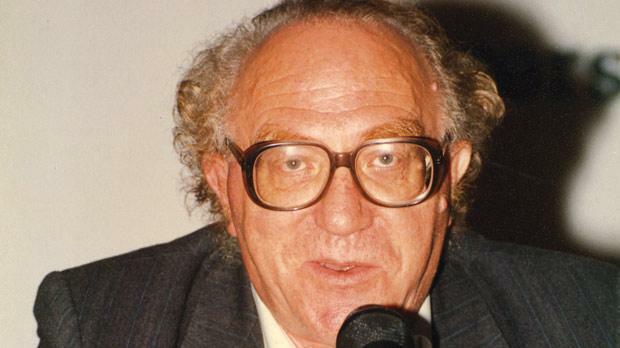 In fact, the published academic also played a political role, particularly when he was personal adviser and consultant to former Prime Minister Eddie Fenech Adami in the 1980s. “I think he was one of the key figures in policymaking in Malta for the last 25 years or so in terms of educational, cultural and, I dare say, political development,” Dr Fenech Adami said. “He was unique. In terms of brain power he was outstanding. Whatever the subject, he was knowledgeable... and he was very humble,” the former President added. Dr Fenech Adami laughed as he thought back to the humorous anecdotes, originating from Fr Peter’s renowned absent-mindedness. “The one I heard and had it confirmed with him was when he was travelling from London to Oxford and bought a new suit... When he changed on the train he realised he had somehow thrown away both his new and old pair of trousers and ended up with nothing to wear,” Dr Fenech Adami recalled. Oliver Friggieri, a friend and colleague of Fr Peter, had some stories of his own to tell. “He was absent-minded but very clear in his thoughts... He got so passionate about his arguments that he forgot to stop talking,” he said. Prof. Friggieri recalled a time when Fr Peter was abroad and caught the wrong flight back home, ending up in a different country. Former Prime Minister Alfred Sant also met Fr Peter when he was aUniversity student. “Since those days, I have always appreciated (his) commitment to intellectual inquiry, his encouragement of most forms of cultural expression, his wide and deep knowledge of books as well as his ability to listen to others,” he said. state of development, he always first accessed the best available research and analysis. “Nor was he oblivious to the realities of power and its implications in a small island society. In this context, his contributions to right-wing social policy development, as well as to the University’s restructuring and expansion post-1987 are indisputable, if debatable. Eventually, his influence on events will be measured not simply by what he achieved but more by how he influenced others to adopt and push forward his policy promptings,” Dr Sant said. Daniel Massa, Fr Peter’s friend, colleague and biographer, said: “A great thinker, Fr Peter was arguably the most original and intelligent person on the island... Social problems – whether simple or complex – were practically always effectively examined from an original angle. “When the University of Malta and its unofficial censors deign to publish Fr Peter’s already-completed biography, the nation at large will be able to measure the depth and essence of Fr Peter’s humane personality and intellect,” Prof. Massa said. Fr Peter was born on April 26, 1936, to Mary and Oscar Serracino Inglott. When his father passed away, at the age of 52, he helped raise his siblings: his elder sister Miriam and younger siblings Josephine, George, Carmel, Anthony, Franco and Clementine. He studied in Malta and at the University of Oxford as a Rhodes Scholar as well as the Institut Catholique de Paris and the Università Cattolica del Sacro Cuore. In 1963, he returned to Malta after having been ordained priest in Milan by Cardinal Giovanni Battista Montini, later Pope Paul VI. He was head of the Philosophy Department at the University of Malta between 1971 and 1996 and was one of the Maltese representatives at the Convention on the Future of Europe, presided over by Valéry Giscardd’Estaing. Fr Peter was rector of the University between 1987 and 1988 and from 1991 to 1996. He was Dr Fenech Adami’s main speech writer, having started to advise him after the Church-Labour government dispute of the 1980s. As rector, Fr Peter piloted the University to rapid expansion instudent numbers, facilities and courses, even moving house to a small dilapidated farm on campus to always be on call. He spent his last years at Id-Dar tal-Kleru in Birkirkara. 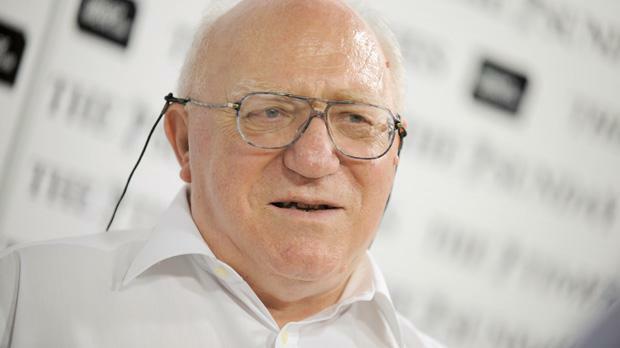 Malta lost one of its leading thinkers whose ideas and work greatly contributed to the country’s development, Prime Minister Lawrence Gonzi said on hearing the news of the death of Fr Peter Serracino Inglott. Through his studies and work, Fr Peter contributed to the country’s educational, social and cultural development, he said. Although a profound thinker, Fr Peter stood out because he was able to bring together different ideas, translating these in initiatives that made a positive change in people’s lives, Dr Gonzi said. President George Abela said Fr Peter’s loss would be deeply felt in the academic world and abroad as he was greatly respected. “I have known him for a long time and could not but admire his wisdom and open mind that was capable of understanding each situation, his original thoughts and vast culture,” Dr Abela said. Like a true wise man, he was humble and always ready to speak to all regardless of social condition or level of education. Always eager to offer help when asked, Fr Peter had enthusiastically accepted to take part in the President’s Forum about constitutional reforms, scheduled for next month, Dr Abela said. “The Lord called him before he could give us his special contribution,” he said. Opposition Leader Joseph Muscat also expressed his deep condolences to the family of Fr Peter, who was a “leading protagonist” in Malta’s intellectual history for more than half a century. “We made different political choices but there was a high respect for him as a scholar, priest and a Maltese citizen who loved his country,” Dr Muscat said. Fr Peter had a “particular love” towards arts and culture, which translated into a continuous involvement in the Maltese cultural and artistic scene, Culture Minister Mario de Marco said.